This boxed set includes the complete Newbery Medal–winning Giver Quartet series: The Giver, Gathering Blue, Messenger, and Son. In addition, it includes a new and exclusive map of the Giver world. Enter this dystopian, futuristic world through all four of these refreshed hardcovers on a page-turning dystopian journey that concludes the masterpiece The Giver started twenty years ago. A great deal and the perfect gift for a fan's library! 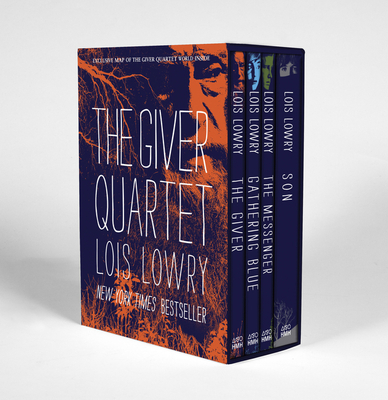 For more information about Lois Lowry's Giver Quartet, visit www.hmhbooks.com/thegiverquartet.